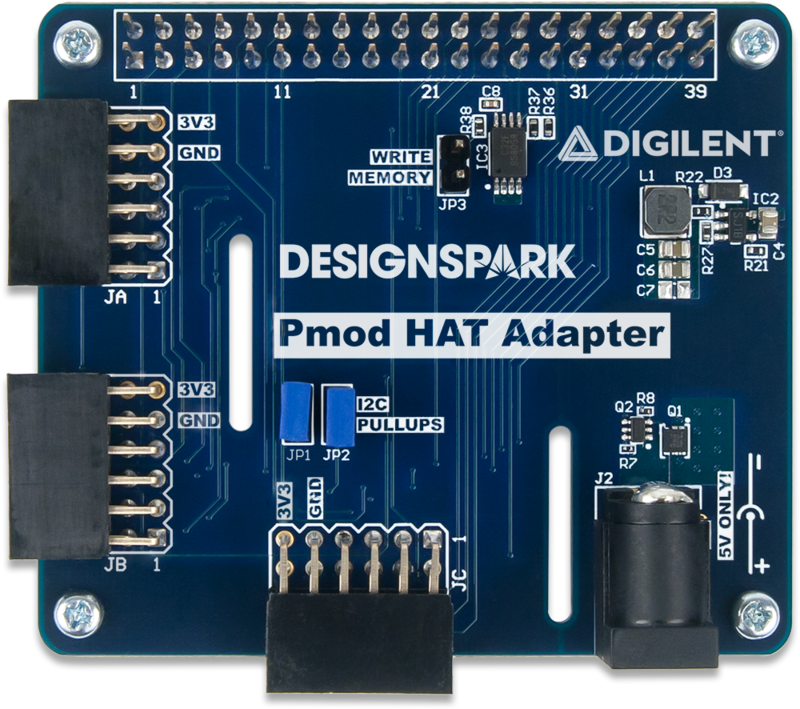 The Pmod HAT Adapter makes it easy to connect Digilent Pmods to a Raspberry Pi. 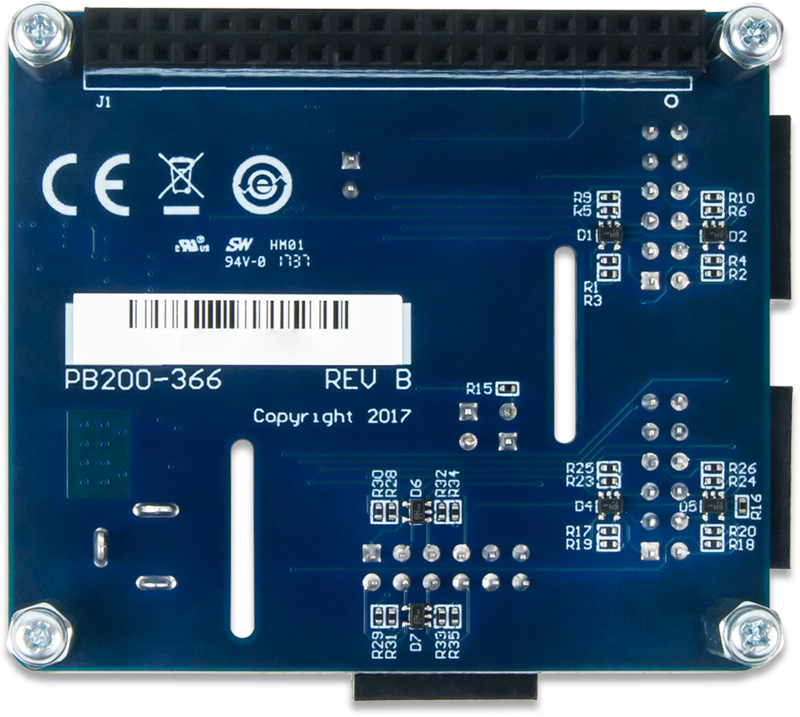 It supports plug-and-play functionality, only requiring that the host Raspberry Pi be booted with the Pmod HAT attached. 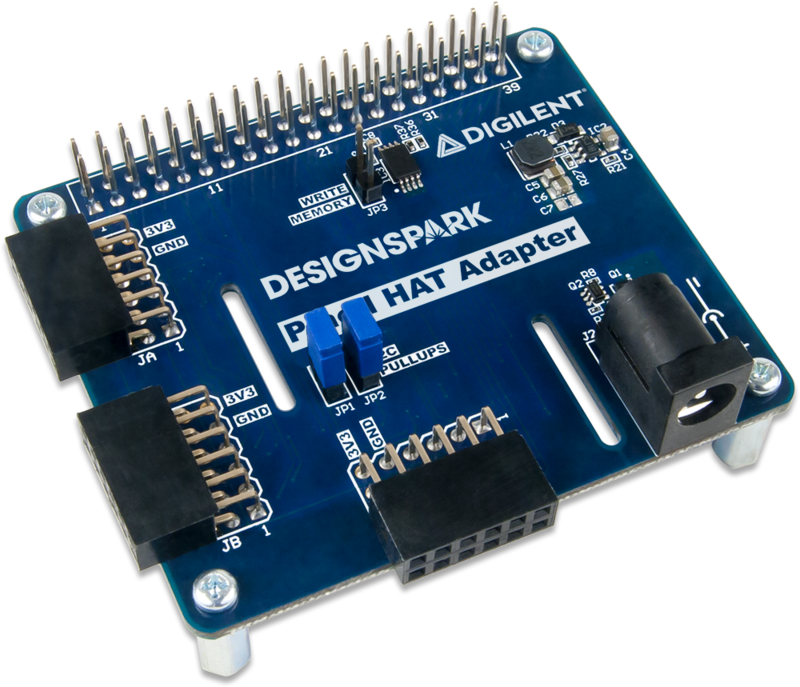 The Pmod HAT has three 2×6 Digilent Pmod ports and provides access to additional I/O available via the Raspberry Pi 40 pin GPIO connector. Designed in collaboration with RS Components, users can take advantage of example Python libraries and demo tutorials hosted on DesignSpark. See the Software Support section below for more info.